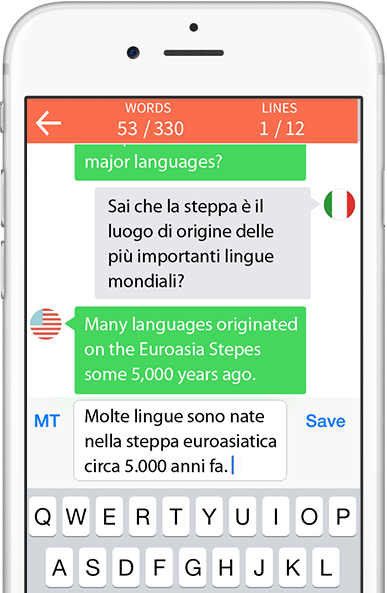 Stepes revolutionizes translation on mobile devices. 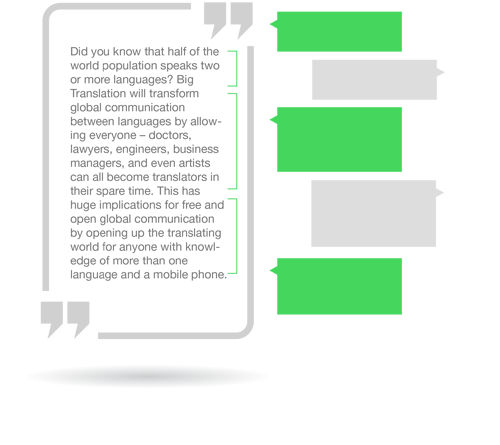 Stepes unlocks convenient and accurate human translation services not yet witnessed from a mobile device. Previously, translation tools were desktop-based. 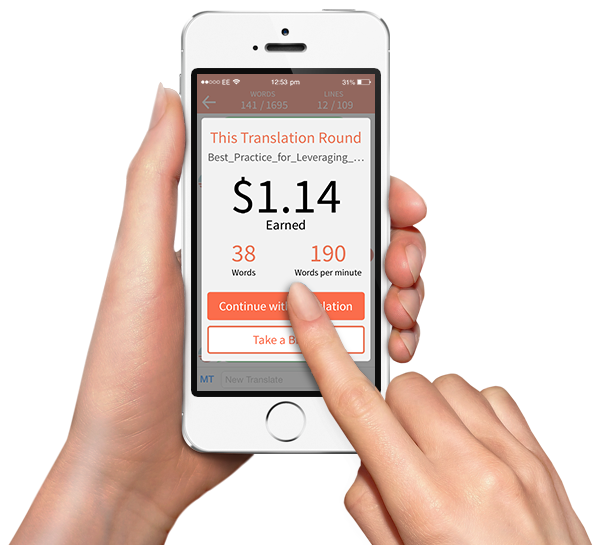 However, with Stepes’ patent pending mobile translation technology, translators utilize the advanced mobile application to confidently translate and earn income from virtually anywhere at any time. Get Your Translation in Minutes. Stepes’ mobile approach provides the fastest translation service on earth. Our translators are always standing by and are automatically notified of new projects so they can immediately start translating all from their smartphones, anytime and anywhere. Try It Free Translate Now! Mobile translation powered by human translators is poised for rapid growth as businesses increasingly demand near simultaneous translation services to compete in global markets. The digital revolution has only quickened the pace at which companies must respond to global market demands. Thus, the ability to translate digital content with quality and in real-time to meet the growing needs of international customers is essential to ensure global success. In today’s rapidly developing digital economy, businesses demand high quality translations quickly and on a continuous basis. Stepes’ mobile powered and fully automated translation platform makes continuous translation as easy as 123. Accelerate time-to-market with end-to-end workflow automation. Scale as your translation needs increase with PC and mobile capabilities. Simplify translation management for the entire localization lifecycle. Gain visibility of translation expenses by centrally managing invoices & payments. 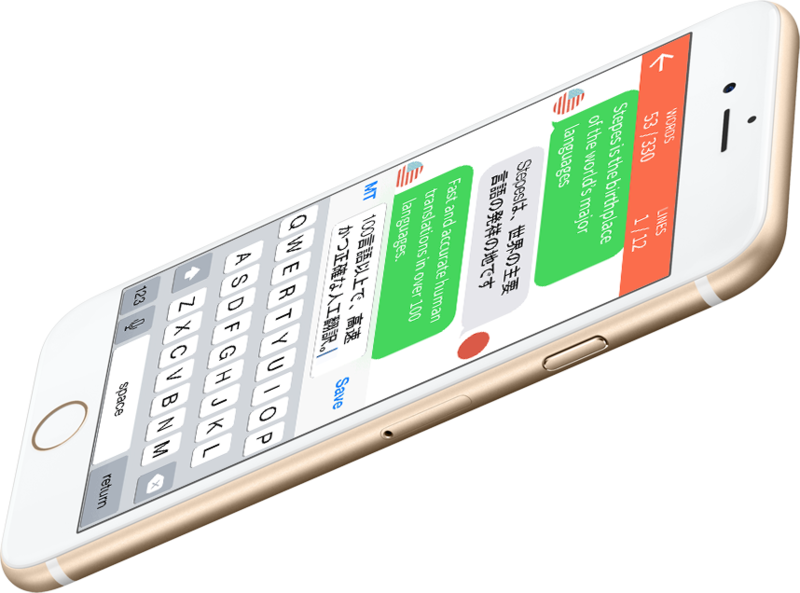 Mobile messaging makes translating on smartphones both user friendly and highly efficient. Our linguists use predictive text and audio dictation technology to improve translation speed and quality. The world’s digital information explosion demands quick and affordable translation services that operate on a massive scale. Mobile technology simplifies the translation process and makes translation available to millions of bilingual subject matter experts. 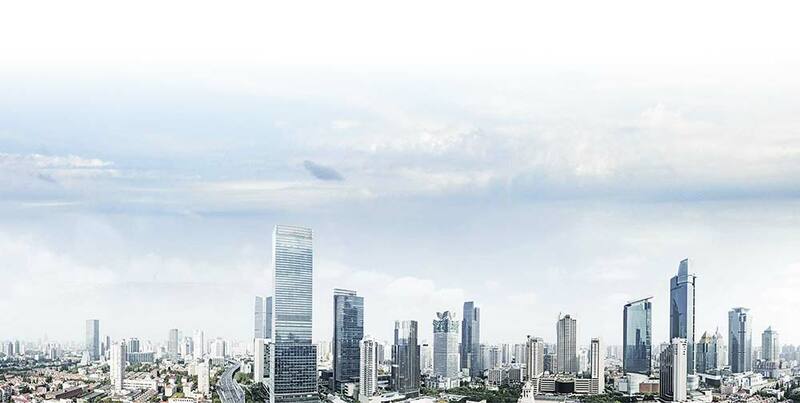 Now quality human translation can finally scale up to meet global market demand. The translation and localization industry is long overdue for change. Translation today needs disruptive technologies to catch up to the 21st century. Mobile translation is the game changer we need. It combines the power of machine algorithms with the nuance of human knowledge to scale up translation to meet global demand. Stepes divides large translation text into smaller segments or text like sentences and phrases. These segments are then shown as short text bubbles, similar to that found on smartphone messaging apps. Translators can then translate each text bubble quickly and efficiently using the keyboard or voice dictation. The Stepes translation process looks exactly like a short message conversation between Stepes and the translator and allows translators to work within a very familiar mobile chat environment. Stepes redefines the way we translate. Like Big Data, Big Translation will transform the way we communicate. By making translation easily accessible on smartphones, mobile technology opens up translation to the world’s large pool of bilingual talents specializing in specific industry domains or subject matter fields. The combination of linguistic skills and subject matter expertise make them ideal for translating. With mobile, bilingual doctors, lawyers, engineers, financial consultants and gamers can translate when and where they want for results that are better than ever. 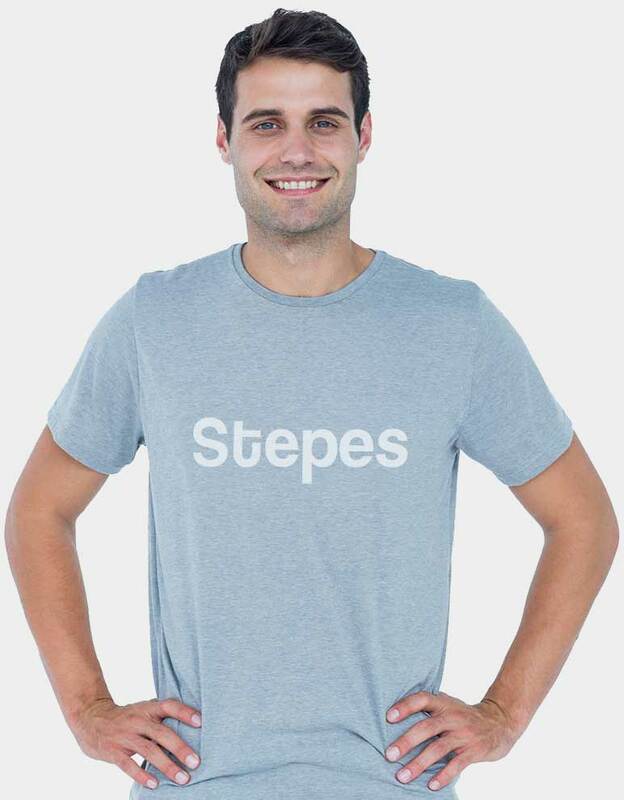 Translate your content with Stepes today. Google Translate is simply machine translation. Stepes however, is a human translation platform that’s culture, context and industry specific, ensuring quality translations at all times.